Kiggundu Musoke, a piano performer, points to the small room’s cardboard walls, and motions to the bit of noise coming in from the outside. This is the practice room where a lot of musicians spend hours and hours of their lives confined, with this exact piano. He sits before me demonstrating how a phrase can be enhanced with the use of varying pressure on the sustain pedal, which makes the tone richer and legato. He tells me vividly about the fear that pianists go through before a concert, which causes them to dwell on the technicalities of playing. 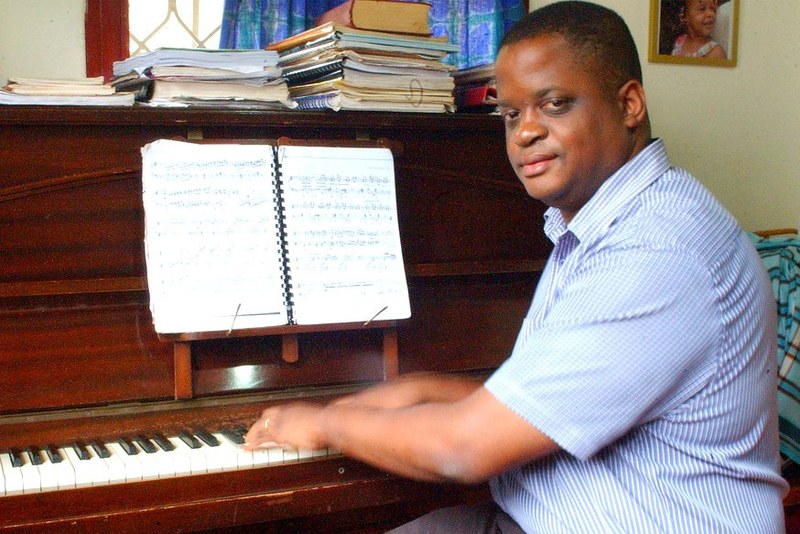 “I hope my fingers will know what to do,” Kiggundu says. The preparation for a concert performance sometimes takes months, to learn an individual piece of music. The very first thing to get in order are the notes, so at this crucial moment with a concert tomorrow at the Sheraton Ballroom, the pianist finds himself neurotically going over the notes again and again. Sitting next to him, I can almost feel the intensity of what he is talking about. The precision of thinking to the very last detail is staggering. The two pieces that he has been painstakingly rehearsing are written by Frédéric Chopin. 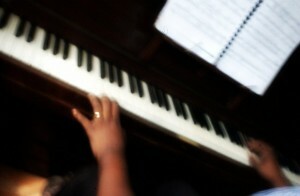 A pianist who went through great labors to write down a piece of music exactly as he felt it, dreamt it and played it. 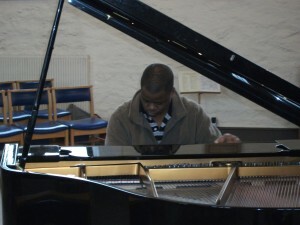 Kiggundu plays the first few notes from the etude nicknamed Triste. A word common to Latin, English, French and Portuguese. My own recollections of this word, are in the very fun and swaying bossa nova composition by Antonio Carlos Jobim. And with those lush arrangements by Claus Ogerman starts Triste é viver na solidão, which translates “It is sad to live in solitude”. These words, though opening a lively bossa nova composition, not only describe the atmosphere of the etude, but also give an impression of Chopin himself. “You want to go out there and communicate, and there’s the fear of failure,” says Kiggundu. The challenge that he faces tomorrow will be to make the audience experience the power of Chopin’s lyricism and his prowess as a pianist, which is a daunting task ahead. Organized by Live Classics, the concert started 4:15 pm on Sunday at the Sheraton Ballroom with a few speeches by the host and the sponsors. It was almost a full house that came out for the concert, a series of compositions by French composers, it was dubbed ‘French Classics’. Compared to last time, Kiggundu is now feeling much calmer. He is last on the program, and would see every other performer before his turn. As the concert begins, there is an anticipation and silence in the room, as the musicians become almost dissolved in the music. Much of which was reactionary to times immediately after the French Revolution, also called The Romantic Period in music. Imagine the pianist as an actor. And the film is rolling … he is not just an actor, but he is the lead actor as well. He would be an extraordinary actor by normal standards because he would also be the director and producer all in the same context. He would have to know the words, and the phrases of the script so that he can interpret it perfectly. He would have to assume the mind of the film. Now, this particular scenario gets a little more complicated by the fact that the mind of the film is none other than Chopin. The actor’s first touch on the piano is long, but it creates an impression that lasts, and those first few bars of the Triste already communicate something. I think they communicate strength. The sound is crystal clear and precise as a soldier marching on. Chopin himself was very patriotic and used music to drive inner feelings of patriotism. Out on the stage, the sound coming from the piano; the collective awareness of the audience will allow the pianist to become more aware of what he has been trying to do with the composition. 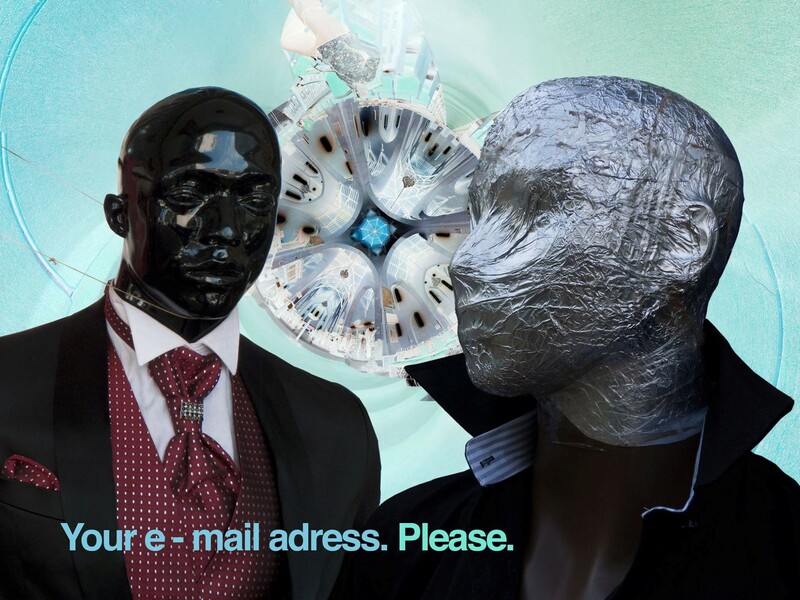 The performance is a heightened state of awareness in itself. Kiggundu looks up before diving into a flurry of notes, and a couple ahead follow his every move with slow head movements. Another gentleman closes his eyes. The couple draws into each other. And he plays almost transfixed in the music, conveying the music film in quite bold and thorough strokes. All along that rumble of water storming below, he reaches another dimension all together. “When you go out (to the stage) and start performing, will they listen?” Kiggundu asks. There is a number of ways to look at this quote. In one scenario, the audience is not actually there even as the pianist is beginning to articulate his work at the piano. The isolation associated with the practice room is recreated for the imaginary audience that is not present. In this case, the pianist does not understand the audience enough to know how to respond to them. The sheer imagined picture of the audience is enough. Since they cannot be evaluated, they cannot be touched or moved in any way; the challenge at a glance is much too big a bite to chew on. When the pianist goes out there, he will be by himself. Whereas, in another instance the pianist walks onto the stage almost magnetically aware of the audience, knowing what time of day it is, and even what feeling is already in the room. He will base his first move on this instant of feeling in the audience. 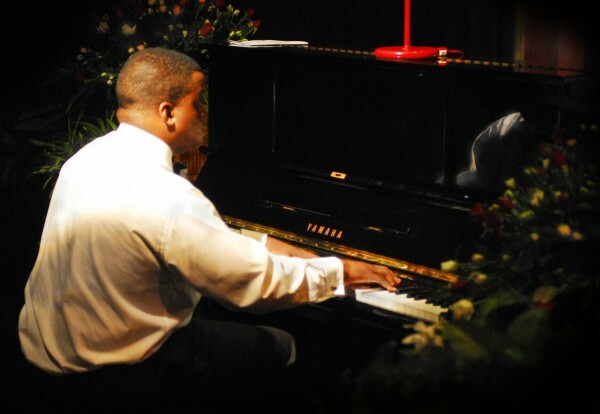 The audience members will, from the first time they see the pianist, become involved. Through the rapport of the actor, they shall experience a greater awareness in themselves. In moving an entire audience to the central feeling of the piece, the pianist communicates humanity more than anything else, transcending both time and space to speak to the eternal awareness in each person. Long after the show has ended, the moment that occurred is burned into memory as a thing of utmost meaning.